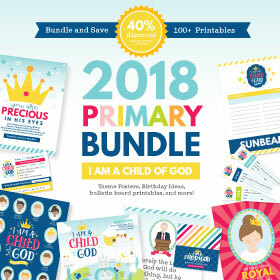 we have been giving our YW this year and wanted to share! I thought it was just the sweetest thing and adored how it coordinated with the mutual theme. 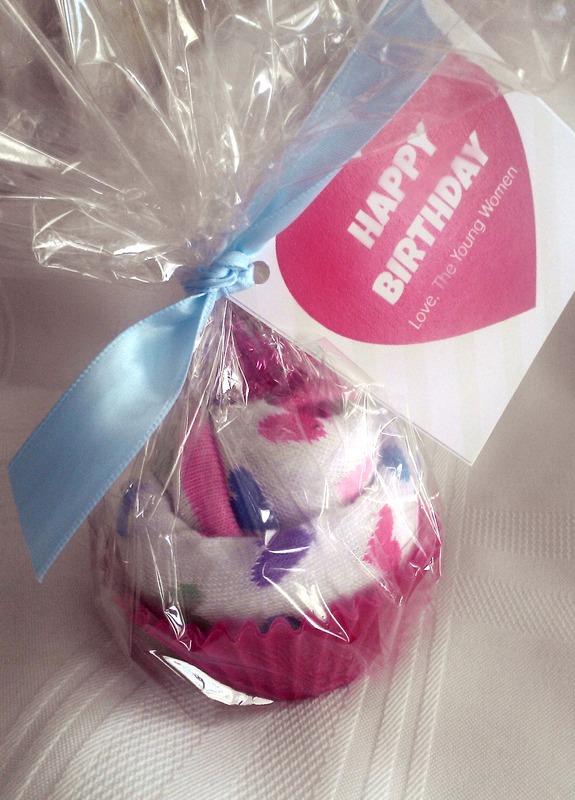 I actually used the socks and turned them into a cupcake and attached the cute poem. I thought they turned out really cute, and the girls have just LOVED them so far! I decided to slightly re-create the design of the original poem. (I wanted to re-create it so that it would match the socks that I had found). cupcake liners, cellophane and ribbon. There are a lot of cheap and cute socks out there. 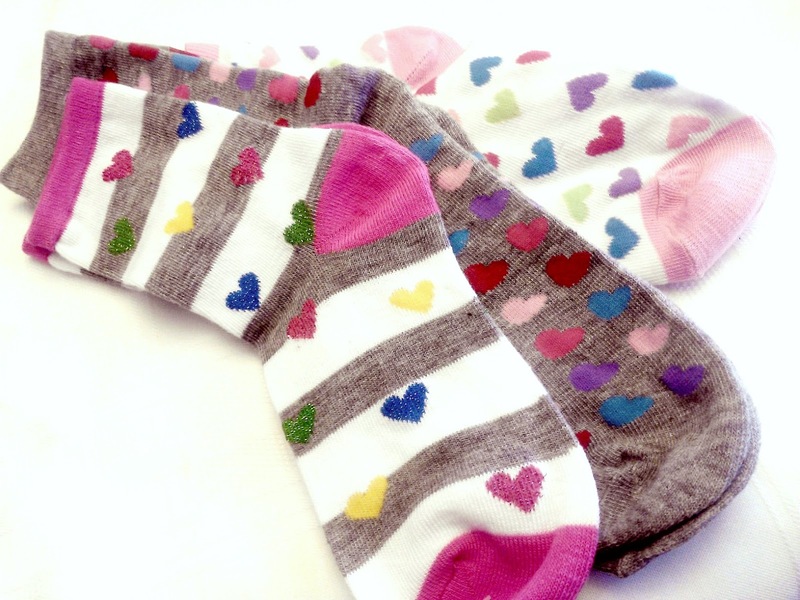 I actually found these cute heart socks at the dollar store. Again, you will also need some type of cupcake topper. I found this glittery pom poms at Target in the party aisle. because you are able to just wrap it around it. I also found some cupcake liners that coordinated with the socks and pom poms. I choose to use a heavier duty cupcake liner, just so that it would maintain it's structure. 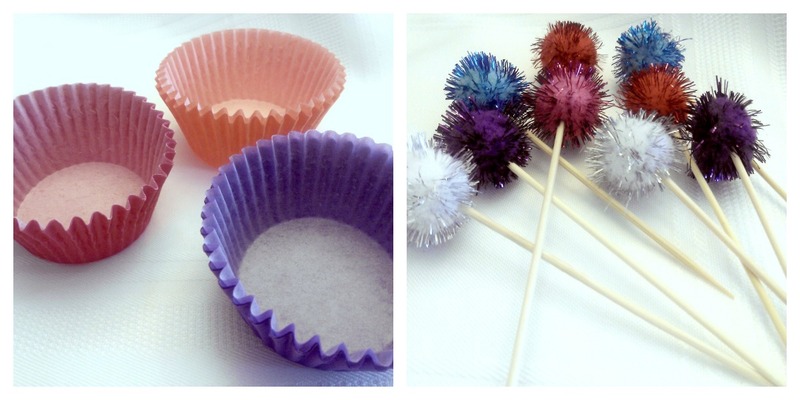 The process for making the cupcakes is really simple! Seriously, anyone could do it! 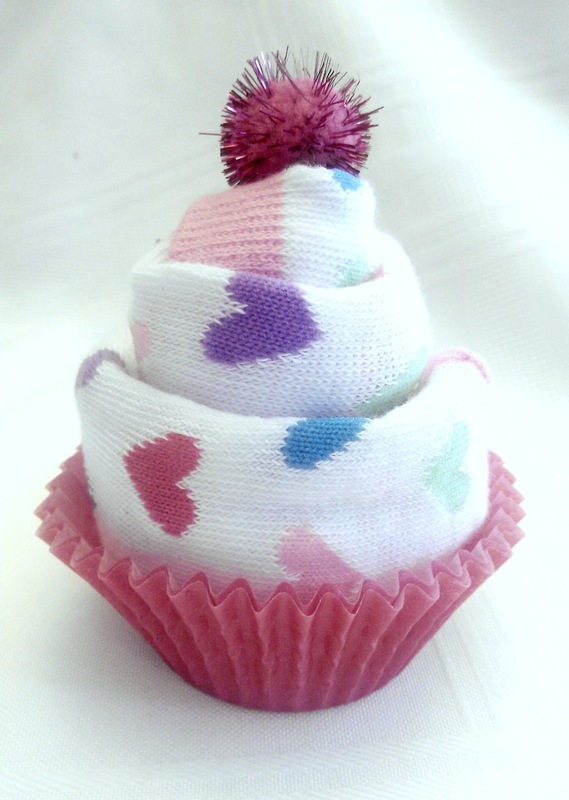 Once you have completed wrapping the sock around the stick, place it in a cupcake liner. and topped it off with a cute birthday wish and poem! Again, it's a super easy process, and they look super cute when you are all finished! Feel free to use the ideas, print off tags, and leave any comments! Love this, we used the idea for Valentines for our girls. Thanks!! What a cute idea! I am sure they will turn out darling! Thanks for visiting our blog! I typed up this poem, but yours is SO very much cuter, I'm scrapping mine and using yours! THANKS for sharing your talent! Thank you for the poem. We actually decided back in November that we wanted to do socks to go with this years theme and did the cupcake thing (we found cute fuzzy socks at the dollar store too!) but we didn't have the poem, we'd just been doing a little note for the girls. I am thankful to have found the poem. Thanks for sharing it. 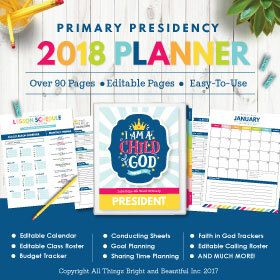 I love all your printables. I love this idea - thank you so much. We have been looking for ideas for birthdays that don't involve sugar - thank you for this! I love this idea! 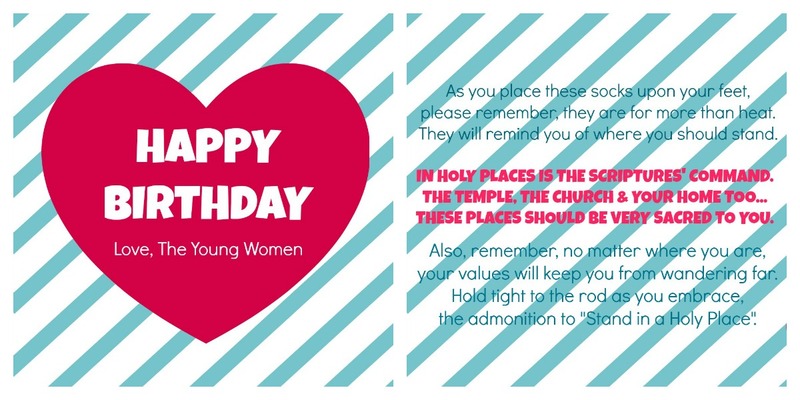 We have been looking for birthday ideas that don't involve sugar - thank you!! Great idea and poem! Mahalo!